Bliss Balls – So Sweet for Valentine’s Day! They contain Brazil nuts, which you really need to have selenium. Don’t forget that! They contain carob powder, which is like chocolate but has three times the amount of calcium and no caffeine. They contain honey, which tastes great, and contains vitamins and minerals. They contain tahini, super healthy and super tasty. They contain natural vanilla, the most popular flavouring of all. They are coated with desiccated coconut, and if I’m going to eat anything desiccated, it better be coconut. Lastly, anything edible that promises bliss sounds good to me. Combine all the ingredients, except the coconut, with a spoon or with a food processor. Place coconut in a small bowl. 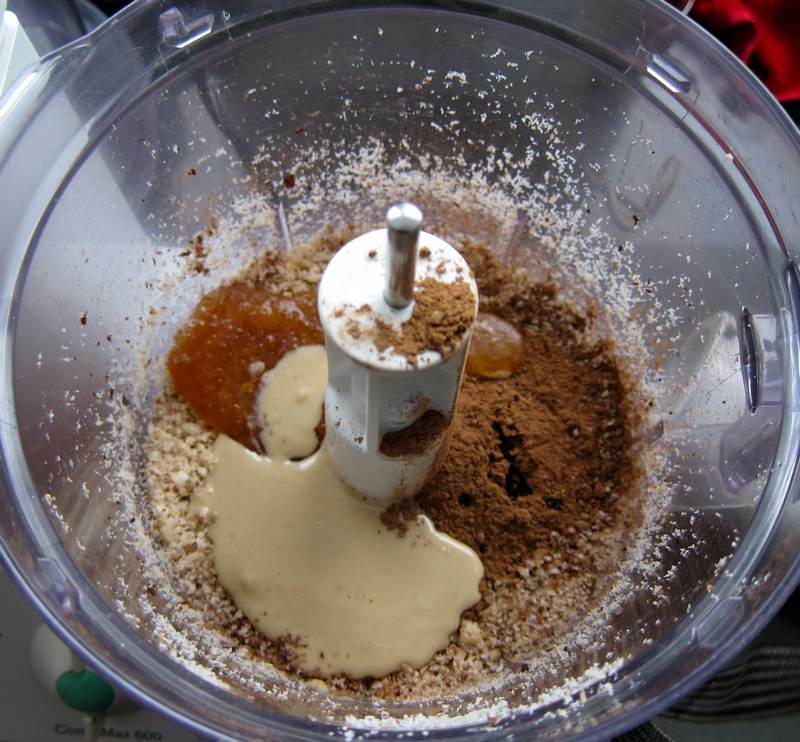 Form the nut mixture into 3/4″ balls, then coat in coconut. Store in the refrigerator and serve chilled. This recipe comes to you courtesy of AMI-Québec. It is extracted from their brand new, beautiful cookbook called “Food for Every Mood.” Giving this book as a gift will bring pleasure to the giver and to the recipient, and it will help to fund AMI-Québec’s support and education programs. To order your copy, contact AMI-Québec at (514) 486-1448, or go to their website, www.amiquebec.org. Valentine’s Day is a very special day in my family. My dad Henry will be 89 on Valentine’s Day. Happy Birthday, Dad! Wishing you good health and happiness. Not everyone likes the name Bliss Balls. For some people Bliss Balls conjure up images that are too suggestive for dining purposes. One friend came up with Moroccan TimBits. Do you have a name change you would like to propose? This is The dessert worth cheating for. Bliss balls for all your lovers on V Day! Thanks Harriet. They are good. I’m ready for batch #2. Best wishes to Henry on his very special birthday! Thanks Erna. I’ll pass on the message. I have the answer to that question. Forward the Bliss Ball Jittery Cook Link to 10 friends and family members. Tell them it is easy to make and delicious and that it make a perfect Valentine’s Day gift. Then sit back and wait. I bet you’ll get several batches. This looks delicious, Holly! What’s tahini? I am not familiar with that…. pardon my ignorance…. 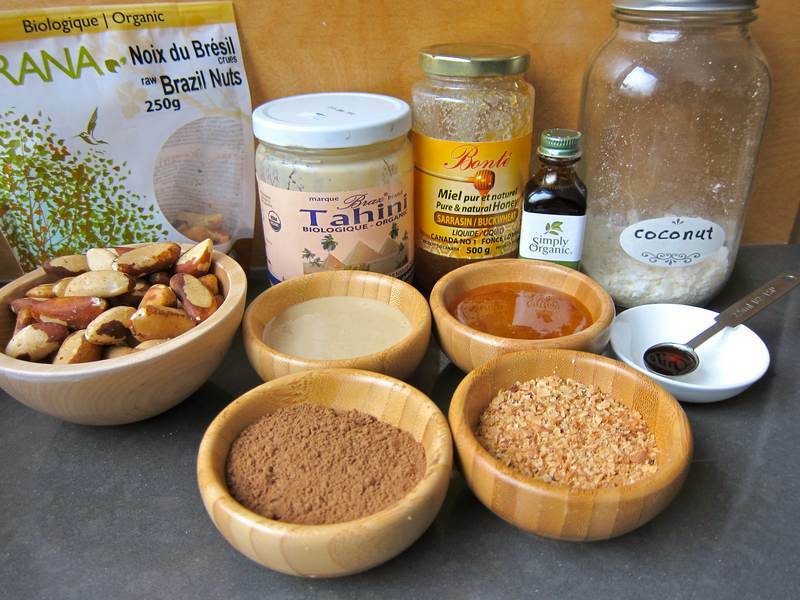 Tahini is sesame paste. Very tasty mixed into recipes. If you click your mouse on the word “tahini” in the post you’ll see a link will open giving you lots of information. Welcome to Jittery Cook!! I’ll check you out on Etsy. Wow. Wow. And WOW. Those are beautiful. I wish I had a stronger word than that! You go, girl! Your words are just fine. Thanks! It is a great recipe. Let me know how you like the Bliss Balls.